Markus Stenz, Maxim Vengerov and musicians of the MSO will also be performing this program at Robert Blackwood Hall on Friday 30 November! Join us for a spectacular finale to our season. 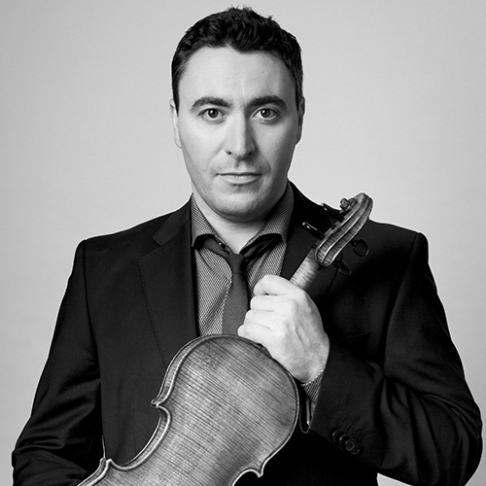 Master-violinist Maxim Vengerov returns to Melbourne with his 1727 Stradivarius to perform the Australian premiere of a new Violin Concerto, written for him by the renowned Chinese composer Qigang Chen. To top it all off MSO’s former Chief Conductor Markus Stenz will conduct Stravinsky’s The Rite of Spring: the ballet that changed music and dance forever. “Melbourne itself is quite extraordinary – so colourful and there’s this big element of culture which makes it so interesting. Music is my life partner. Because of music I became a more sensitive person that has allowed me to be more sensitive to other people. Music forces you to listen to yourself and to others. In life, when I work hard I am more sensitive to other people’s opinion and needs. Life becomes a richer experience.” Maxim Vengerov.